Changing the way you eat! My Hot Logic Mini has given me FREEDOM again! It has been a REAL game changer for me. ​they want one of their own, too. ~ Because of food sensitivity "projects" (I call them projects instead of problems, because projects are fun! ), I avoid all nightshade foods, MSG and other food preservatives, onions and bananas... I didn't think I would become one of "those," but here I am. There are still plenty of choices on my menu, so I don't feel deprived, however eating out can be challenging. And, microwaving is not an option that I choose. ~ I use my Hot Logic Mini daily, whether I'm at home, my office, or even traveling in the car, as well as in conference and motel rooms. This year, I traveled to workshops in Frankenmuth, MI - Green Bay, Wisconsin - Toronto, Canada - Chicago, Illinois, and Louisville, Kentucky, and I used my Hot Logic Mini every single day. 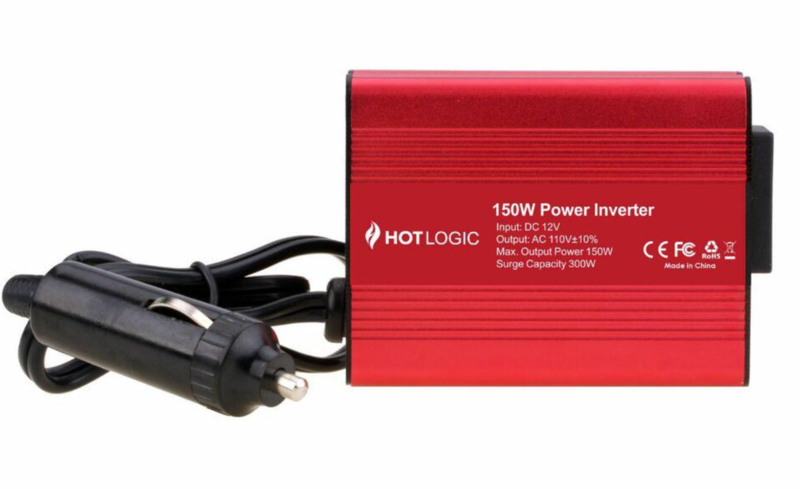 I even cook (mess free) in my car with ease using the Hot Logic Vehicle Power Inverter. ~ I don't have to babysit cooking times or temperatures. My Hot Logic Mini cooks and then keeps food warm at the perfect temperature, whether cooking from raw or warming up leftovers. ~ Because of the tight seal and perfect temperature, my meals do not dry out or over cook. I don't know why or how, but I supposed I don't have to. I just enjoy! And, I've never had it spill while transporting my Hot Logic Mini. ~ I don't have to figure out what to eat when hungry, because its waiting for me when I am ready. I can also wait until I actually feel hungry to eat, instead of eating because the meal is done. ~ In the morning as I get ready for the day, I simply fill one or two glass pyrex containers (glass lids too) with the meal or meals of my choice. Before bed, I can do the same and wallah! Breakfast is served! I hope you enjoy your own Hot Logic Products as much as I do!